Stomp is a renowned non-traditional dance group that uses the body and ordinary objects to create a percussive physical theatre performance. They developed from the London Records band The Yes/No People. Since becoming Stomp, they have released music and starred in television commercials. HBO also produced the DVD Stomp Out Loud.They appeared on Space Ghost Coast to Coast. The New York cast of Stomp was also featured in the pilot episode of Cyberchase. Early in their career, they performed the theme tune for Blue Peter. Stomp was parodied on an episode of Saturday Night Live through the false name of "Clappin'".STOMP, a unique combination of percussion, movement and visual comedy, was created in Brighton, UK, in the summer of 1991. It was the result of ten year collaboration between its creators. They first worked together in 1981, as members of the street band Pookiesnackenburger and the theatre group, Cliff Hanger. Together, these groups presented a series of street comedy musicals at the Edinburgh Festival throughout the early '80s. Pookiesnackenburger also produced the highly acclaimed "Bins" commercial for Heineken Lager. Luke and Steve formed Yes/No People in 1986, but soon began to branch out into other areas. Together they went on to create and perform the internationally award-winning theme to Channel Four's late night music program "Wired," the opening sequence to Kevin Godley's global project, "One World One Voice," and an eight minute "percussive movie" for Bette Midler's "Mondo Beyondo." A single, "The Adventures of Mr. Johnson," was released in 1988. Between 1987 and 1990, Luke staged, as artistic and musical director, four large scale outdoor events including "Beat the Clyde," The largest of these events, the "Heineken Hove Lagoon Show," featuring the Brighton Festival Chorus and a full orchestral string section. In 1991 Yes/No People produced and directed a series of eight percussive video shorts for inclusion in the UK ITV network environmental issues program "A Beetle Called Derek." They also went on to produce, finance and direct STOMP which previewed at London's Bloomsbury Theatre and premiered at the Assembly Rooms in Edinburgh, where it became the Guardian's "Critic's Choice" and won the Daily Express "Best of the Fringe" award. The following year STOMP toured Australia, where it won the Adelaide "Best of the Fringe" award, and also enjoyed successful runs at the Montreal Comedy Festival, London's Royal Court Theatre and at the Barcelona Olympic, Galway, Aarhus and Belfast Festivals. Both the Brighton and the Newcastle Dance Umbrella Festivals commissioned a specially extended version of STOMP. This led to both the "Most Outstanding Contribution to the Festival" and the "Most Innovative Work" awards in Brighton. 1992 also saw more award winning commercials for JACCS credit card and Apples, which won the Silver Lion at the Cannes Festival. Their advertising work continued with 1993's "Ice Pick" commercial for Coca-Cola. 1993 saw a return to Melbourne, Australia with a limited run of a specially created large scale show using 30 extra local performers, and performances. STOMP began it's run at the Orpheum Theatre in New York, after a sell-out run at Sadler's Wells in London's West End, in February '94. STOMP was nominated for "Best Entertainment" in the 1994 Olivier awards, going on to win the "Best Choreography" and a Drama Desk Award for "Most Unique Theatre Experience." More recently the cast of STOMP recorded music for the "Tank Girl" movie soundtrack and will appear on the forthcoming Quincy Jones album "Q's Jook Joint." also featured in a series of three commercials for Target stores. The New York cast currently appears in the "Mr. Frear's Ears" series of short films, whilst "Brooms," premiered in London. In September of 1995, the original cast, after sell-out tours across The States and in Japan, performed an expanded version of the show in the open air amphitheater at The Acropolis in Athens. 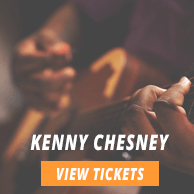 The average Stomp tickets price will cost you between $160 and $383, if you are looking for the cheapest seats then catch the event being held at the Cape Fear Community College's Wilson Center, Wilmington on 30/04/2019. The average ticket will cost you the highest on 23/01/2020 at the Jones Hall for the Performing Arts, Houston. Minimum get in price is for Stomp tickets is $46 for the event being held at the National Theatre - DC, Washington on 25/04/2019 , there are some venues that have a much higher get in price, for instance the cheapest seats at the Orpheum Theatre - Omaha, Omaha on 28/02/2020 will set you back $124. I purchased stomp pantages tickets from you last week and I just got an email that says that delivery of your tickets has been delayed. Can you please tell me that how many days will it take for the tickets to arrive? The expected arrival date of your tickets is mentioned on the same email that you are referring to. If you still to track the delivery status of your Stomp Pantages Theatre tickets, then call our main sales office and report the problem. I want to see stomp musical in ny but how will I know that the tickets listed on your website are authentic? Our tickets for Stomp show in New York and all other events are 100% authenticated. We are the trusted members of TrustE and McAfee Secure, hence it is completely safe to buy tickets from Ticket Luck. Are you offering any stomp ticket deals? Yes, you can buy Stomp Tickets from us as part of some of the most amazing deals in the market. Log on to our website for details and book your tickets now. how much are tickets to stomp in tulsa going to cost me? For complete information about Stomp Tickets and their prices, please log on to our website or call us on our toll free number for further assistance. Are there any good deals on stomp tickets on offer? Yes, we are offering the most amazing deals on Stomp Tickets that you will not get anywhere else. Log on to our website and book your tickets now. What is a stomp discount code? It is a special discount code that will entitle you to certain benefits when you buy Stomp Tickets. Please refer to our website for details. I want to get stomp nyc promotion code. What does your code offers me? We offer you discount codes that give you instant discount on Stomp tickets. Kindly contact the Live Help to get your code. Do i need to follow a complex process for getting stomp promotion code? Not at all. Its easy to get promotion code for Stomp Tickets. Just follow the instructions online and place your order. Hiya mate, im a dancer and am crazy about the Stomps.I really wanna see them live. Can i have stomp tickets at cheaper prices please? Sure, we appreciate your love for dance. Please browse our inventory of Stomp tickets and book the best ones for you. Is this the right place to get cheap stomp tickets on broadway? Yes, you are at the very right place for ordering Stomp Tickets. Check out our discounted rates and order right away! I want to buy stomp cheap ticket. Do you have it here on your website? Yes, we do have cheap stomp Tickets available on our website. Look through our page and you can order from there. Is there a way I can get rid of the service fee on stomp cheap tickets? Stomp Tickets with us are inclusive of all service charges, so there isn't really a way you can get rid of them. How do I buy cheap stomp tickets nyc as easily as possible? Log on to our website to get Stomp Tickets at the cheapest prices in the market and that too as easily as 1-2-3. I want cheap Stomp Peace Center tickets. Does your website have them? Yes, Ticket Luck offers very cheap Stomp Peace Center SC tickets to all its valued customers! Get them now! Are all the cheap stomp tickets sold out? No, we still have an ample quantity of Stomp Tickets with us and you can get them any time you want. Can i order tickets for stomp over the phone? Yes, you can! Call us at 866-861-4784 and our customer rep will take care of the rest. hey i cant seem to find the actual price for stomp tickets at pantages theatre. Please Help. Kindly click the purchase button to find the actual price of the tickets out. Thanks. Are you sure my stomp discount tickets ny will be delivered on time? Definitely! We are responsible and ensure on time delivery of Stomp Tickets by FedEx. 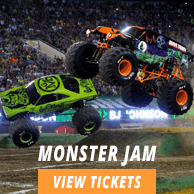 I am looking for cheap tickets stomp houston tx, what are my options? TicketLuck is the best option if you are looking for cheap Stomp tickets. Can I have my stomp direct tickets nyc refunded if I can't make it to the event? No, as per our company policy Stomp Tickets once sold cannot be refunded. Which mailing service do you people use for mailing stomp tickets to customers? Stomp Tickets use FedEx mailing service for mailing tickets. Do you have cheap stomp tickets new york? Stomp tickets are right here up for grabs so buy them now. Are there any tickets for stomp available for sale? Yes there are Stomp tickets up for sale, go get them now! Have you got any promotional code for stomp? Check out live help service for the Stomp promotion code. How can I pay for the good deals on stomp tickets in rochester ny? You can use credit cards to pay for Stomp Tickets. When do cheap tix for stomp out loud in baltimore, md go on sale? Cheap Stomp tickets are now up for grabs.